The book is engineering oriented and covers a large variety of topics ranging from fundamental principles to performance evaluation and applications. It is written systematically and completely on the subject with a summary of state-of-the-art fuel cell technology, filling the need for a timely resource. This is a unique book serving academic researchers, engineers, as well as people working in the fuel cell industry. It is also of substantial interest to students, engineers, and scientists in mechanical engineering, chemistry and chemical engineering, electrochemistry, materials science and engineering, power generation and propulsion systems, and automobile engineering. The Progress in Green Energy series explores the evolution of green energy systems for sustainable development and energy security. It focuses on the development of new technologies which enable the provision of energy with minimal negative effects on society and the environment. Progress in Green Energy is a monograph series, which aims to provide up-to-date information for researchers, engineers, and advanced students. The dominance or monopoly of a single energy system can provide a cumulative impact on a particular aspect of the environment, leading eventually to permanent damage or even catastrophe. 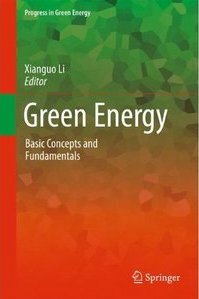 Green Energy: Basic Concepts and Fundamentals addresses the need for diversity within energy systems. Although every energy system, including renewables and alternative fuels, has its own unique adverse impact, the impact need not be additive and cumulative. By using a diverse range of energy systems which exploit local energy resources, the energy need can be met without any negative impact beyond the tolerance limit of the environment. Additionally, energy diversity can withstand the fluctuations and disturbances in energy need, benefiting social and economic health in the process. Although the high operating temperature of solid oxide fuel cells (SOFCs) creates opportunities for using a variety of fuels, including low-grade hydrogen and those derived from biomass, it also produces difficulties in materials performance and often leads to materials degradation during operation. These obstacles have proven to be challenges in the path to greater commercialization. Focusing on materials-related issues, Solid Oxide Fuel Cells: Materials Properties and Performance provides state-of-the-art information for the selection and development of materials for improved SOFC performance. Because of its lower temperature and special polymer electrolyte membrane, the proton exchange membrane fuel cell (PEMFC) is well-suited for transportation, portable, and micro fuel cell applications. But the performance of these fuel cells critically depends on the materials used for the various cell components. Durability, water management, and reducing catalyst poisoning are important factors when selecting PEMFC materials. Written by international PEMFC scientists and engineers from top-level organizations, Proton Exchange Membrane Fuel Cells: Materials Properties and Performance provides a single resource of information for understanding how to select and develop materials for improved PEMFC performance. 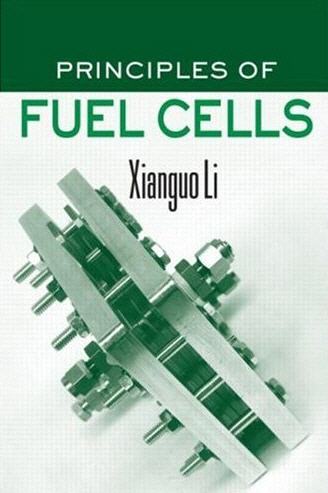 The book focuses on the major components of the fuel cell unit, along with design and modeling aspects. It covers catalysts and catalyst layers, before discussing the key components of membranes, diffusion layers, and bipolar plates. The book also explores materials modeling for the PEMFC.